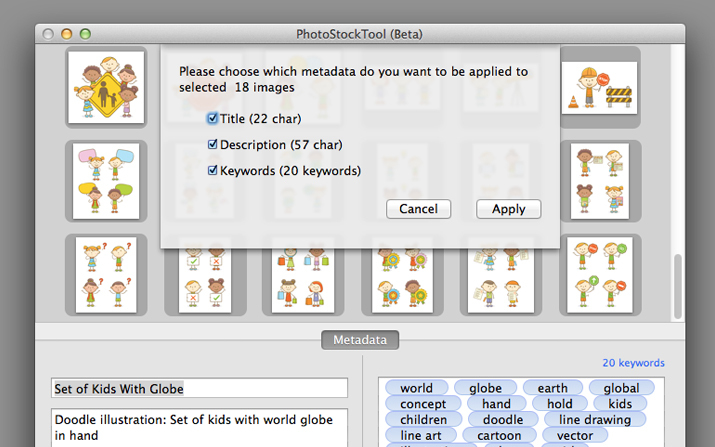 PhotostockTool is FREE metadata (EXIF/IPTC) editor for Mac, it will update both EXIF and IPTC data of your images. 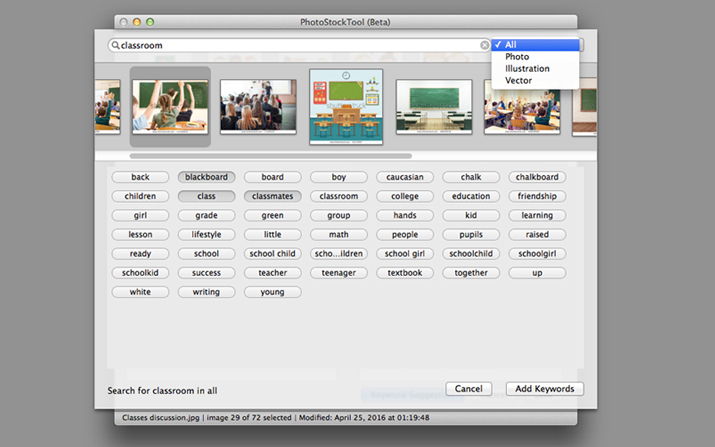 PhotostockTool uses ExifTool by Phil Harvey and it is already embedded so you don’t have to install ExifTool. 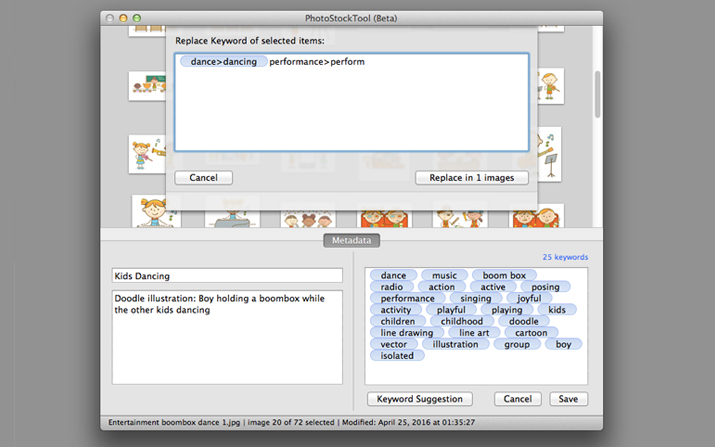 PhotostockTool also support keyword suggestion provided by Shutterstock. Copy and Paste Metadata to multiple. 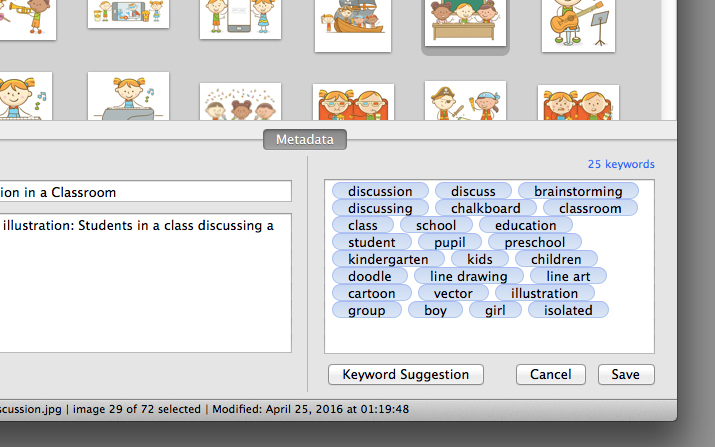 Paste & Apply Metadata to multiple images. 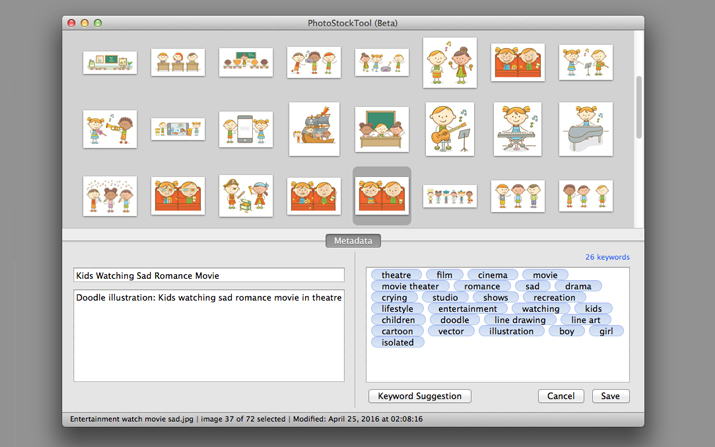 Keyword suggestion provided by Shutterstock.